Standing on top of the west section of the theater, and looking toward the east. 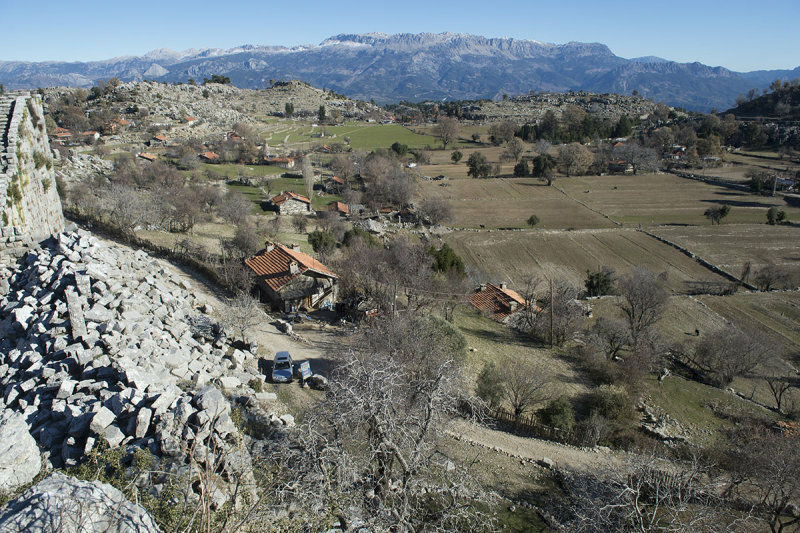 The farming village of Altınkaya (formerly: Zerk) occupies the area of the antique lower city of Selge. The mountain range in the background are the Hasan Dağları, which are part of the Taurus (Turkish: ‘Toros’) Mountains. Sources: ‘Antik Stadyumlar’ – Secda Saltuk (Istanbul 1995) & Personal visits to Selge/Altınkaya (1992 – 2004).